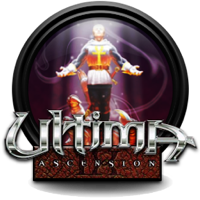 Ultima IX: Ascension is the tenth (and most likely final) installment of the main series and the fourteenth in the entire series, if Worlds of Ultimas and Ultima Underworld I and Ultima Underworld II are counted. It was released and published by Electronic Arts for the IBM-PC in 1999. It is the final part of the "Age of Armageddon" saga. In many ways, Ultima IX is the most controversial of all the Ultimas released. It was released incomplete and buggy, requiring patches immediately to even function with Direct3D. Also, while the game's graphics and music were praised, many other aspects were harshly criticized by fans of the series such as the lack of a party and the inclusion of action or platform gameplay elements. The game also faced criticism for its simple story and allegedly poor voice acting. The team that worked on it also seemed to have had little experience with previous Ultima games meaning that almost every detail of Ultima continuity is either ignored or wrongly interpreted. It was, in short, an extremely large disappointment for some fans. 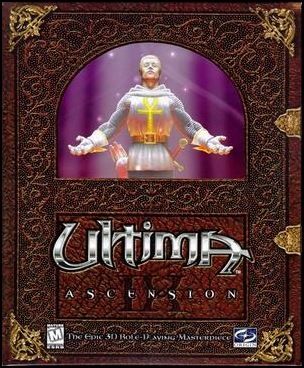 And while Ultima IX will always remain the official conclusion of the Ultima series, some of those fans tend to consider this game non-canon and disregard its story. ▪	The story was radically altered many times. Remnants of the old stories can be found in the game and it is typically referred to as the Bob White Plot. Remnants of it can be found in the game, see Ultima IX Plot Remnants. 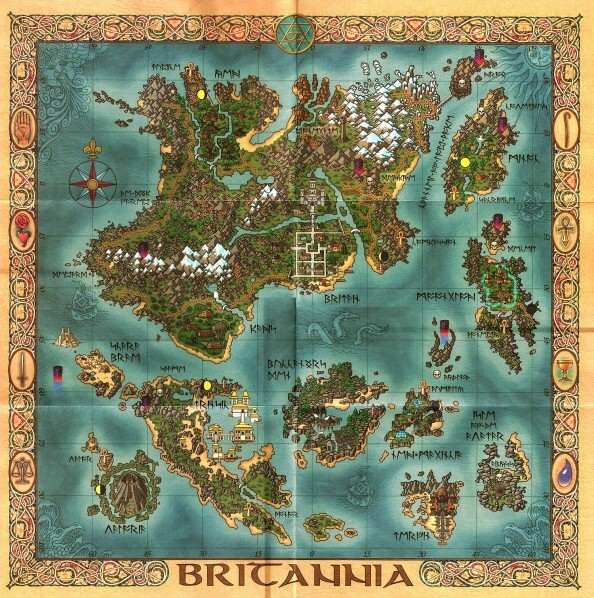 ▪	Electronic Arts dissolved the development team of Ultima IX and pushed them all to Ultima Online, effectively killing the development of Ultima IX to that point. 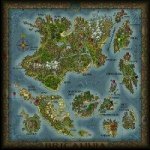 More about the rather long development of Ultima IX. ▪	Originally the U9 would have used perspective similar to U8 with possibility to zoom in and out and rotate the view full 360 degrees. The musical score was originally composed, orchestrated and conducted by George Oldziey for the IBM PC version. These tracks come from the original Origin sound track. Click on the lute to download the music files.